The Terminal DOOM demo is a DOOM3 port - of sorts - of the Classic DOOM source as originally released in 1997. 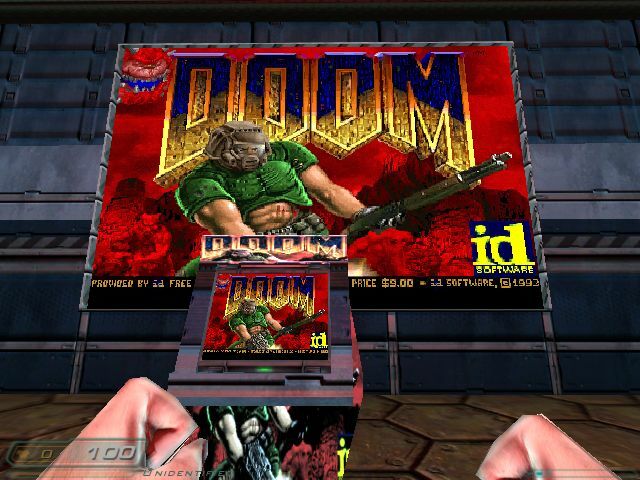 The playable demo is available for Windows and Linux, and supports all shareware and retail versions of DOOM. You will have to have the retail version of DOOM3 installed, and you will have to apply the version 1.3 patch to be able to run the Terminal DOOM demo. Once you applied the new patch, download the demo here from the mirror kindly provided by Ryan Gordon. To install the mod, simply unpack the contents of the ZIP archive into the directory where your DOOM3 executable is located, and follow the instructions in the README.TXT. If you have the original DOOM WAD files, just copy them into the mod's directory. 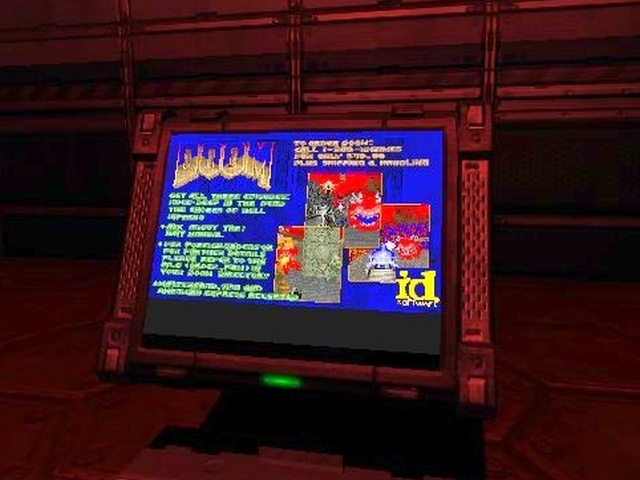 For more Terminal DOOM screenshots see the shareware and retail gallery, respectively. If you are here for the arcade machines, check this out. Here is the draft of a document explaining the concept of interactive surfaces and their possible applications. This document is very much a work in progress, so its usefulness might be limited. In a nutshell, interactive surfaces are just a different way to look at mechanisms that games have been using from the very beginning. However, sometimes it pays off to take a step back and look at familiar territory from a new point of view. To make full use of interactive surfaces, the feedback loop has to be closed: player inputs fed into a terminal have to change the state of game world in a way that affects the player directly and immediately. In more than one respect, Terminal DOOM itself is a dead end. 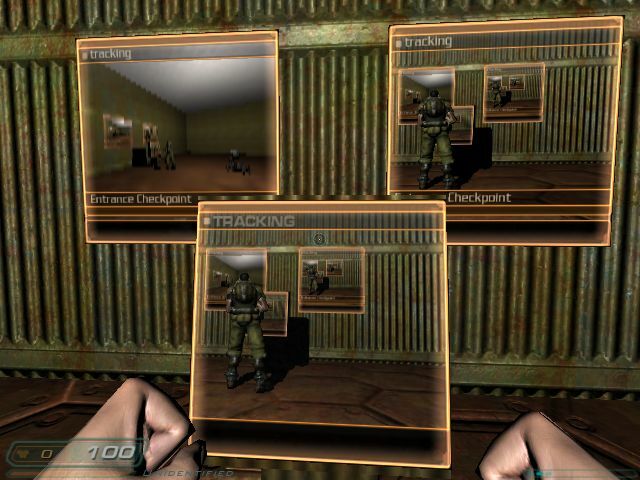 Out of the box, DOOM3 supported rendering two or more camera views to GUI surfaces. 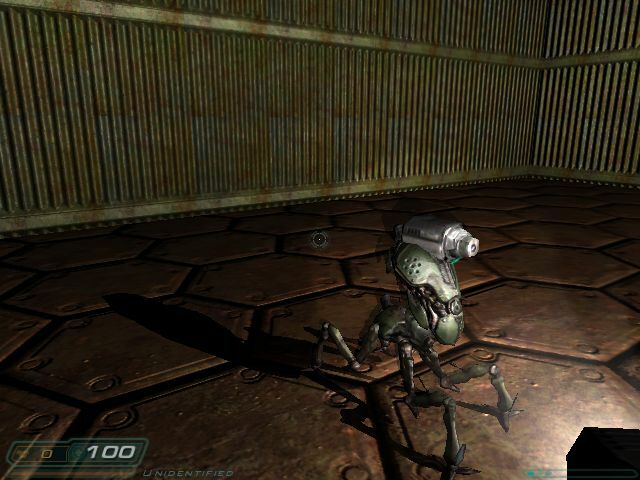 Using input focus handling similar to that in Terminal DOOM, mod authors can implement player-controlled security cameras and gun turrets, both stationary and mobile, as well as sentry bots remote controlled through a GUI surface. Thanks to Neil J. Martin for providing the test maps for Terminal DOOM and beyond. 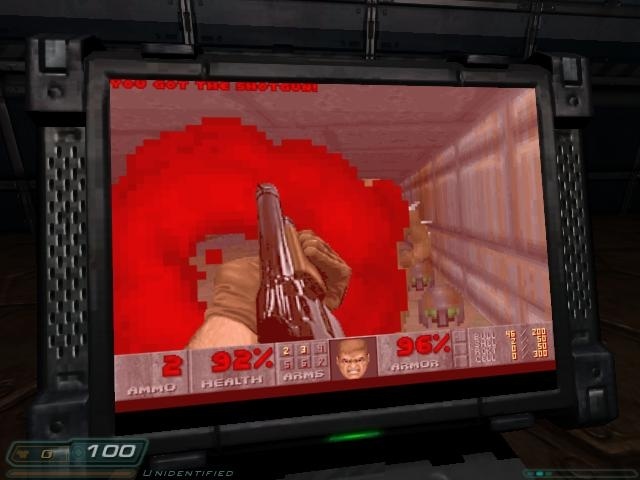 If you are interested in the coding aspects, the Classic DOOM source has changed little from the 1997 release, and still compiles as a standalone Linux binary. The DOOM3 mod source will be available soon. For now, see ChangeLog and the debug DLL's for details.